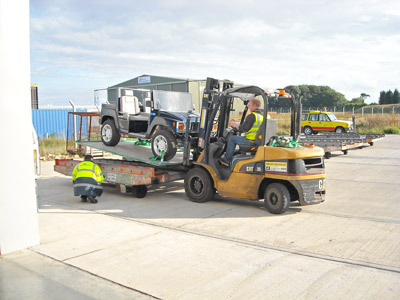 Anglia Cargo International Ltd was founded in 1972 in Norwich and is a privately owned company. Since then our company has had a continuous history of expansion and growth and today is serving our clients from three offices in the United Kingdom – Humberside airport, Norwich airport, Hull - and our offshore office in the Isle of Man with contracted partners from nearly every corner in the world. We provide high quality one-stop transport and forwarding services including air freight, sea freight, road transport and logistics management. Furthermore, we specialise in time critical sensitive cargo and dangerous goods. Our customers come from all over the world and we focus on markets of Europe, America, Middle East and Asia.